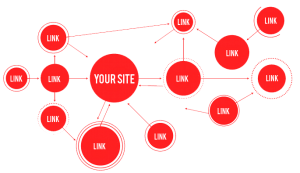 What is the importance of Links? A Search Engine sees links to your page as a sign that you have something of quality to show people, and so it will lead to your page being linked to more confidently. Our SEO services integrate a Quality Profile as one of our Key Elements to our SEO Strategy. How Does a Search Engine Find Me? Search Engines use virtual programs known as “Robots” or “Spiders” to comb through the internet travelling from site to site, following links to create an ever growing web of links and sites. This process is what allows a Search Engine to discover new websites and expand its search database to deliver the best results to someone searching. As you can imagine, the more links to your website, the more often it will be discovered by the Search Engine robots, and increase your visibility. When a search is made, the Search Engine’s responsibility is to deliver the best and most accurate result to the searcher, as such the do this by providing sites that are trusted and respected through use and links. When your site is discovered, all of the data collected by the spiders allows your pages to be ranked according to the algorithm used. The resulting data inclusive of all of this information is then evaluated to create an overall ranking. This ranking is what you see in relations to search terms. If someone types “Bendigo Hotel”, the Search Engine will determine what sites contain those keywords, and present the list according to their relevant ranking. What does the Search Engine look for? 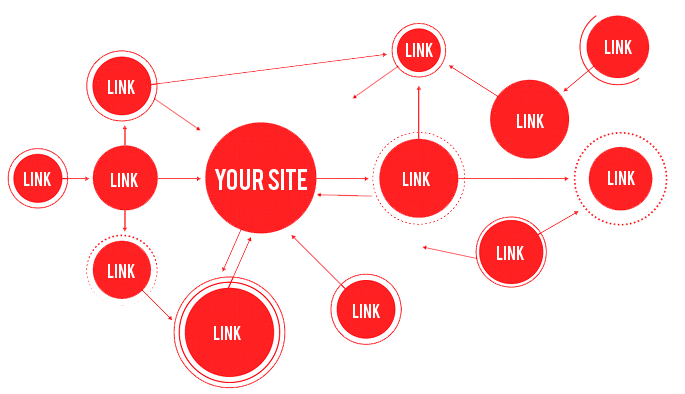 Relevance of the Linking Site in relation to your own. And the “Anchor Text”, being the text embedded in the links to your site. It is quality links that leads to a higher ranking. When all is equal between two sites, a Search Engine will determine its relative ranking based upon the quality and reliability of the pages that link to this one. As such, Quality no Quality is most important. If a Search Engine sees links from hundreds of terrible generic websites, then it will see you as the same category as them because that is the type of website that endorses you. The other thought to consider is that technology is constantly adapting, the Search Engines are wise to many of the ways that people try and manipulate the system to skip the queue. As such their systems and spiders are constantly being adjusted to search for genuine links, and exclude or ban sites that try to cheat the system. Our Approach to a Link Profile is to create these quality links in a natural manner that draws interest in your site at the best rate of growth for your interests. We can do this through our various avenues of research and connections in the greater community. Over our years of work within the professional community, we have developed solid connections and relationships with core websites and webmasters across a variety of industries and interest areas. We then bring your site to these people, who are more than happy to link and endorse you because they trust us, and by extension our quality customers. We then further our Link Building campaign through research into the industry you are present in, and identify the key areas that are likely to be interested in linking to your website. Sometimes this is a one way link, and sometimes it is two way (exchange favours) with trusted sites. This all means that we can ensure that you are receiving links from quality locations that suit your site and with the anchor text best suited to the situation. This process of link building takes time, and is meant to reflect a natural process. Any new site needs a slow expansion, it reflects that it is being discovered, approved of and shared by the greater community. If a Search Engine detects an instantaneous expansion of links, it suspects foul play and will ignore the links and possibly even drop your site from its index. A Search Engine crawler and indexing program works by appreciating what the most relevant and respected websites are out there, and rewards this success by attributing it with the highest positions in search results; for a Search Engine it is about earning this right to be represented among the best. But be warned, “Black hat” Inbound Link Building techniques have worked sometimes, but the reality is that more often than not the risk is having your site banned from Google, Bing and Yahoo. So think twice about engaging in schemes that seem too good to be true. After all, who is going to see your site if Google ignores it? Same applies to offers that seem too good to be true. There is no quick fix or speedy solution to link building profile. If there is a promise to deliver “high volume keywords, page one Google, 2000 new links for only $59.90 per month” do not trust it, and anything you do with them would be a substantial risk. It is a challenging process for a reason, if link building was simple then there would be no competition, and anyone could be at the top of the pecking order. This is why SEO is so important, because by demonstrating that you have this substantive link profile, it is a way of proving your worth to the Search Engines, and by extension you potential customers. When effectively implemented and managed, the link profile for your website can be your greatest tool. Having this aspect taken seriously will increase your visibility, and by extension your revenue.